Compass students in 5th- 12th grade can apply for this award if they have participated in a community service activity within the last 12 months. Compass will select one student from among 5th-8th graders and one student from among 9th-12th grade. Compass winners will be considered “Local Honorees” whose applications will go on to the state level to be considered for medals and a $1000 cash prize. State Honorees advance to the national level for gold medals and greater monetary awards. Applications must be submitted by November 6! Applications must be completed online and include a student’s response to five prompts with short essay answers of 200-300 words. 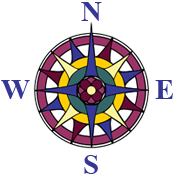 Complete program details can be found on the new Compass webpage for Prudential Spirit of Community Awards. Be sure to read details on Getting Started, the Application, Eligibility, and What Service Activities Count (and don’t count) for the award. This award is open only currently enrolled (Quarter 2 or fall semester) Compass students.